It’s not done, until it’s Over-Done! I used to be Clark Griswold. None of my plants would freeze during the winter because of the heat generated from my Christmas lights. Not only did they dance to traditional AND rock-n-roll Christmas carols, but you could possibly see them from space. It was glorious. It involved careful extension cord maze planning discussions between my daughter & me (editors note: nobody speaks in proper grammar, Karissa), electric bills that rivaled the mortgage payment and friendly inspections by the Fire Marshall. It usually ended in frustration as some cord or fuse would fail. Inside, you would find a 9 foot tall tree right out of a department store surrounded by perfectly wrapped presents. Lighted garland in every doorway, ornaments hanging from the ceiling and small ‘themed’ trees throughout the house. Yes, it was ridiculous. And, I did most of the decorating myself. Which I realized was stupid. In my old age I have learned to allow my husband and boys to help through subtle guilt trips. Don’t judge, it makes them feel good to make me happy. Who am I to deny them of this happiness? There may not be as many lights as before but they go up so much easier! I don’t even have to go outside. 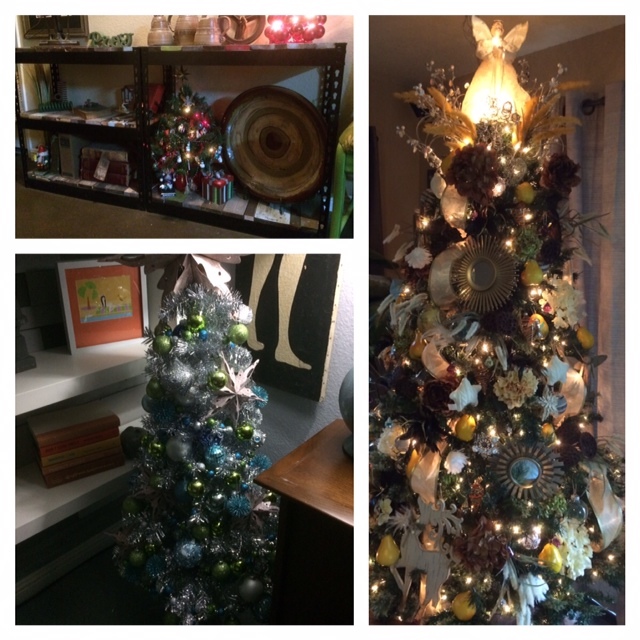 I still may or may not have multiple trees, excessive garland and ornaments around the house BUT I do not do it all by myself. My boys were much more easily tricked willing to help than I had expected. My best Christmas advice? 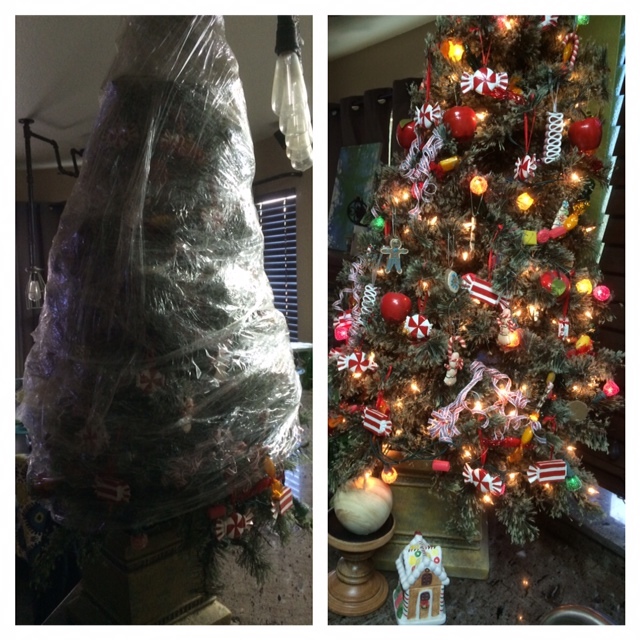 Plastic wrap your fully decorated tree when it’s time to put it away! I saw it on Pinterest last year, so I tried it with my Candy Themed Tree. It unwrapped perfectly decorated and dust-free! 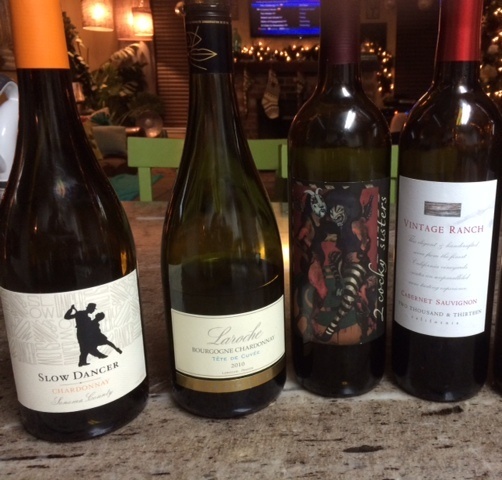 Needless to say, I had plenty of Wine-Time this year! 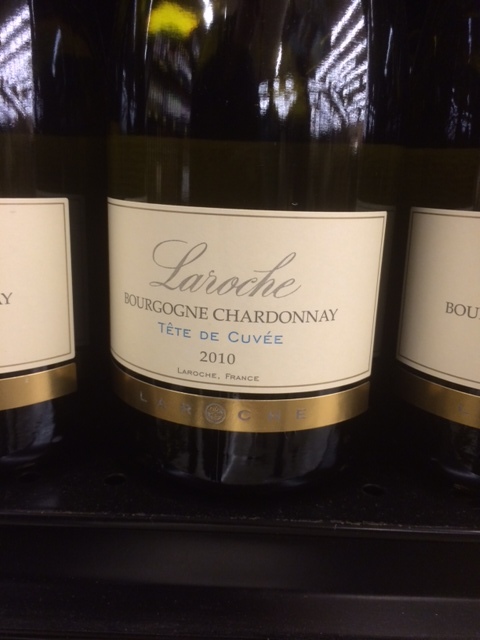 Larry noticed the apricot aroma and Terry commented that this Chardonnay was very good and finishes sweet. Connie liked it as well, adding that it had a spicy kick to it. Scott didn’t care for it at first (he prefers wines that are not sweet), but he said he warmed up to it and Steve tasted peaches and pears. 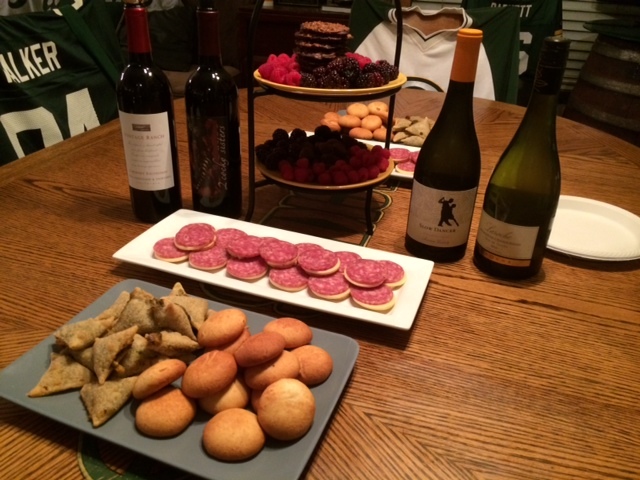 Arvin thought it would make a peachy keen after dinner wine. 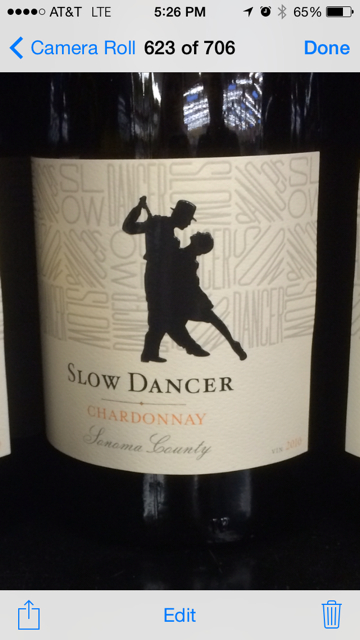 This Chardonnay was a hit. Arvin found it to be dry and peppery. Terry gave it a thumbs-up and Larry called it dramatic. I didn’t get Steve’s comment, but I’m sure he tasted pear. He did make it just in time for this Cab. He called it nice & smooth. Connie and Larry agreed. Terry said it rolls right down your throat. 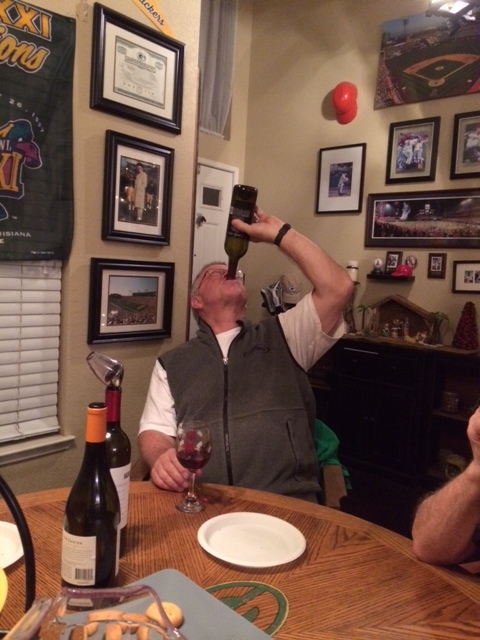 Steve noticed it had long legs and Arvin liked the oaky finish. 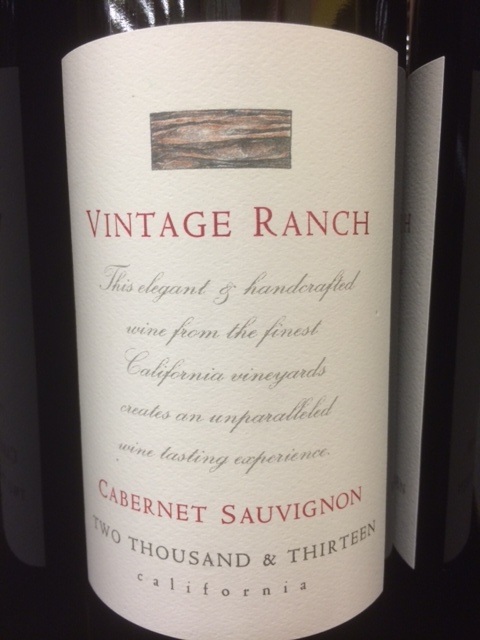 From the label: Vintage Ranch Cabernet Sauvignon opens with rich aromas of black currant. 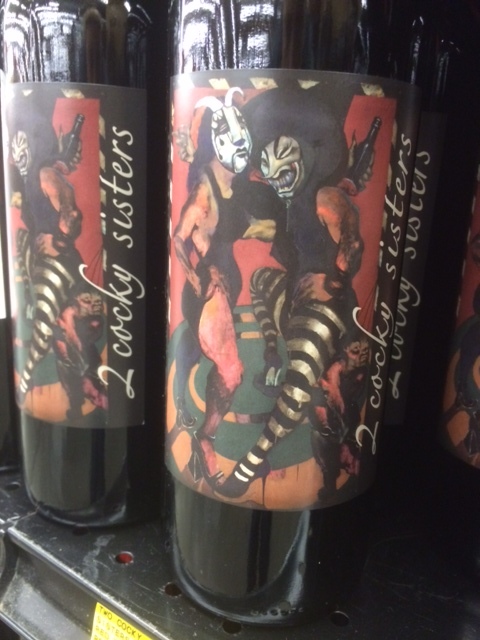 On the palate, deep round flavors of black cherry emerge over espresso, dark chocolate and toasty oak, with just a hint of vanilla on a long, lingering finish. Thank you Terry for bringing your homemade carrot cake, it was delicious! Steve wanted me to know (and apparently the world too) that he loves cake.